Select Tire Size 22x8x11 22x10x9 22x10x10 22x11x8 22x11x9 22x11x10 24x9x11 24x10x11 24x11x10 24x13x9 25x8x12 25x10x12 25x11x8 25x11x10 25x12x9 25x12x10 25x13x9 25x13.5x12 Oversized 26" Oversized 27"
Get more bite with these ladder-style, hardened V-bar Talon Tire Chains. Deep links won’t fall between tire lugs when running on ice, slush, and hard packed snow. 5 size options available to fit the majority of factory or specialty ATV/UTV tires. 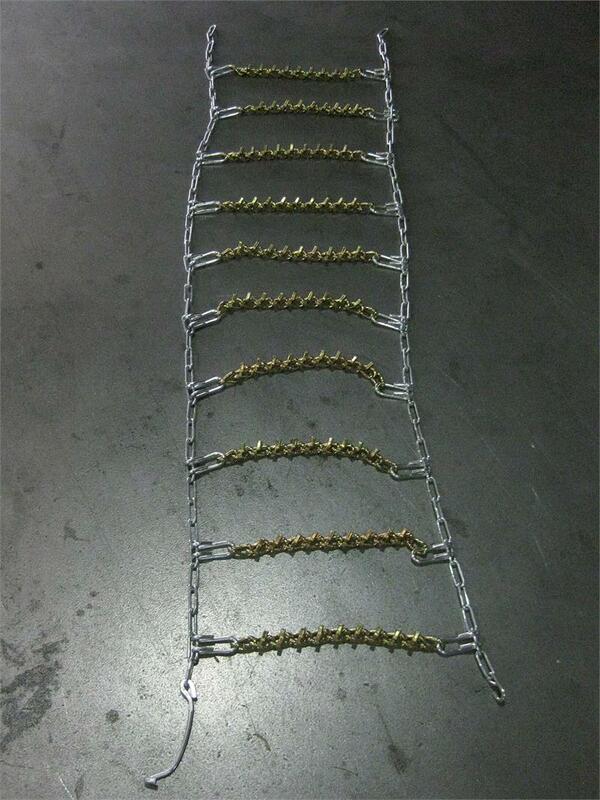 Chains have 4 links spacing between reinforced link chains and are durable to increase your push in the harsh winter conditions. Talon Tire Chains are sold in rear pairs and come with a plastic case for year-round storage. They are easy to install; start by lying flat, rolling on and cinching up. 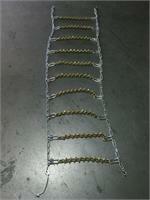 Chains are zinc plated for corrosion resistance and will hold up no matter what conditions you’re running in!